Maximal concentration of intravenous busulfan as a determinant of veno-occlusive disease: a pharmacokinetic-pharmacodynamic analysis in 293 hematopoietic stem cell transplanted children, Bone marrow transplantation, vol. 54 pp.448-457. Determinants of amikacin first peak concentration in critically ill patients, Fundamental & clinical pharmacology, vol. 32 pp.669-677. Identification of Cytochrome P450-Mediated Drug-Drug Interactions at Risk in Cases of Gene Polymorphisms by Using a Quantitative Prediction Model, Clinical pharmacokinetics, vol. 57 pp.1581-1591. Population Pharmacokinetic Study of Amoxicillin-Treated Burn Patients Hospitalized at a Swiss Tertiary-Care Center, Antimicrobial agents and chemotherapy, vol. 62 pp.e00505-18. Assessing the Combined Antibacterial Effect of Isoniazid and Rifampin on Four Mycobacterium tuberculosis Strains Using n Vitro Experiments and Response-Surface Modeling, Antimicrobial Agents and Chemotherapy, vol. 62 pp.e01413-17. Antituberculous drugs modulate bacterial phagolysosome avoidance and autophagy in Mycobacterium tuberculosis -infected macrophages, Tuberculosis, vol. 111 pp.67-70. Comment on: MIC-based dose adjustment: facts and fables, Journal of Antimicrobial Chemotherapy, vol. 73 pp.2584-2585. Population pharmacokinetics and probability of target attainment of ertapenem administered by subcutaneous or intravenous route in patients with bone and joint infection, Journal of Antimicrobial Chemotherapy, vol. 73 pp.987-994. Continuous intravenous vancomycin in children with normal renal function hospitalized in hematology-oncology: prospective validation of a dosing regimen optimizing steady-state concentration, Fundamental & clinical pharmacology, vol. 32 pp.323-329. Pharmacokinetic risk factors of beta-blockers overdose in the elderly: Case report and pharmacology approach, Annales de cardiologie et d`angeiologie, vol. 67 pp.91-97. A Generic Model for Quantitative Prediction of Interactions Mediated by Efflux Transporters and Cytochromes: Application to P-Glycoprotein and Cytochrome 3A4, Clinical pharmacokinetics, vol. 58 pp.503-523. Prospective Cohort Study of the Tolerability of ProstheticJoint Infection Empirical Antimicrobial Therapy, Antimicrobial Agents and Chemotherapy, vol. 62 pp.e00163-18. Mechanisms of drug-drug interaction between rifampicin and fusidic acid, British journal of clinical pharmacology, vol. 83 pp.1862-1864. Is Trough Concentration of Vancomycin Predictive of the Area Under the Curve? A Clinical Study in Elderly Patients, Therapeutic Drug Monitoring, vol. 39 pp.83-87. Implications of using the MDRD or CKD-EPI equation instead of the Cockcroft-Gault equation for estimating renal function and drug dosage adjustment in elderly patients, Fundamental & clinical pharmacology, vol. 31 pp.110-119. Population pharmacokinetics of teicoplanin administered by subcutaneous or intravenous route and simulation of optimal loading dose regimen, Journal of antimicrobial chemotherapy, vol. 72 pp.2804-2812. The Role of Antibiotics in Modulating Virulence in Staphylococcus aureus, Clinical Microbiology Reviews, vol. 30 pp.887-907. Prevalence and Risk Factors of Drug-Associated Corrected QT Prolongation in Elderly Hospitalized Patients: Results of a Retrospective Analysis of Data Obtained Over 6 Months, Drugs & aging, vol. 34 pp.545-553. A Nonparametric Method to Optimize Initial Drug Dosing and Attainment of a Target Exposure Interval: Concepts and Application to Busulfan in Pediatrics, Clinical pharmacokinetics, vol. 56 pp.435-447. A Model for Predicting the Interindividual Variability of Drug-Drug Interactions, AAPS Journal, vol. 19 pp.497-509. Quantitative Prediction of Drug Interactions Caused by CYP1A2 Inhibitors and Inducers, Clinical pharmacokinetics, vol. 55 pp.977-990. Pharmacokinetic Variability of Daptomycin during Prolonged Therapy for Bone and Joint Infections, Antimicrobial agents and chemotherapy, vol. 60 pp.3148-51. Mathematical modeling and systems pharmacology of tuberculosis: Isoniazid as a case study, Journal of theoretical biology, vol. 399 pp.43-52. Accurately Achieving Target Busulfan Exposure in Children and Adolescents With Very Limited Sampling and the BestDose Software, Therapeutic Drug Monitoring, vol. 38 pp.332-342. Should busulfan therapeutic range be narrowed in pediatrics? Experience from a large cohort of hematopoietic stem cell transplant children, Bone marrow transplantation, vol. 51 pp.72-78. Comparison of the static in vivo approach to a physiologically based pharmacokinetic approach for metabolic drug–drug interactions prediction, International Journal of Pharmacokinetics, vol. 1 pp.25-34. A pharmacometric pulmonary model predicting the extent and rate of distribution from plasma to epithelial lining fluid and alveolar cells--using rifampicin as an example, European journal of clinical pharmacology, vol. 71 pp.313-9. Influence of renal function estimation on pharmacokinetic modeling of vancomycin in elderly patients, Antimicrobial agents and chemotherapy, vol. 59 pp.2986-94. Quantitative methods for prediction of the effect of cytochrome P450 gene polymorphisms on substrate drug exposure, Clinical pharmacokinetics, vol. 54 pp.319-20. Population modeling and simulation study of the pharmacokinetics and antituberculosis pharmacodynamics of isoniazid in lungs, Antimicrobial agents and chemotherapy, vol. 59 pp.5181-5189. Subcutaneous administration of levetiracetam in geriatrics, Revue neurologique, vol. 171 pp.398-399. Model-Based Determination of Effective Blood Concentrations of Cyclosporine for Neutrophil Response in the Treatment of Severe Aplastic Anemia in Children, AAPS Journal, vol. 17 pp.1157-67. A Prediction Model of Drug Exposure in Cirrhotic Patients According to Child-Pugh Classification, Clinical pharmacokinetics, vol. 54 pp.1245-58. Pharmacokinetic drug-drug interaction of calcium channel blockers with cyclosporine in hematopoietic stem cell transplant children, Annals of pharmacotherapy, vol. 48 pp.1580-4. Pharmacokinetic Drug Interaction Between Cyclosporine and Imatinib in Bone Marrow Transplant Children and Model-Based Reappraisal of Imatinib Drug Interaction Profile, Therapeutic Drug Monitoring, vol. 36 pp.724-729. Exposure to anticholinergic and sedative drugs risk of falls and mortality: an elderly inpatient multicenter cohort, Journal of clinical psychopharmacology, vol. 34 pp.565-70. The Case for Using Higher Doses of First Line Anti-Tuberculosis Drugs to Optimize Efficacy, Current Pharmaceutical Design, vol. 20 pp.6191-6206. Determinants of torsades de pointes in older patients with drug-associated long QT syndrome: a case-control study, Drugs & aging, vol. 31 pp.601-9. Pharmacokinetic-Pharmacodynamic Modeling of Unboosted Atazanavir in a Cohort of Stable HIV-Infected Patients, Antimicrobial Agents and Chemotherapy, vol. 57 pp.517-523. In Vivo Quantitative Prediction of the Effect of Gene Polymorphisms and Drug Interactions on Drug Exposure for CYP2C19 Substrates, AAPS Journal, vol. 15 pp.415-26. Comparison of Four Renal Function Estimation Equations for Pharmacokinetic Modeling of Gentamicin in Geriatric Patients, Antimicrobial Agents and Chemotherapy, vol. 56 pp.1862-1869. Prescriptions analysis by clinical pharmacists in the post-operative period: a 4-year prospective study, Acta Anaesthesiologica Scandinavica, vol. 56 pp.1047-51. How to estimate renal function for drug dosage adjustment in geriatrics? Comments on the article by Andro et al, Revue de médecine interne, vol. 33 pp.350-351. Prédiction quantitative des interactions médicamenteuses impliquant les cytochromes 3A4 et 2D6 : approche in vivo, La lettre du Pharmacologue, vol. 26 pp.57-62. Mathematical modeling of pulmonary tuberculosis therapy: Insights from a prototype model with rifampin, Journal of Theoretical Biology, vol. 282 pp.80-82. Probable Drug Interaction Between Intravenous Ciprofloxacin and Mycophenolate Mofetil in a Bone Marrow Transplant Recipient, Pharmacotherapy, vol. 31 pp.114-114. Comment: assessment of vancomycin dosing and subsequent serum concentrations in pediatric patients, Annals of Pharmacotherapy, vol. 45 pp.1171-1182. Quantitative prediction of cytochrome P450(CYP) 2D6-Mediated drug interactions, Clinical Pharmacokinetics, vol. 50 pp.519-530. Genotype-Based Quantitative Prediction of Drug Exposure for Drugs Metabolized by CYP2D6, Clinical Pharmacology and Therapeutics, vol. 90 pp.582-587. Oral Voriconazole Dose in children: One size does not fit all, Clinical Infectious Diseases, vol. 51 pp.870-870. Intrapulmonary Pharmacokinetics and Pharmacodynamics of Micafungin in Adult Lung Transplant Patients, Antimicrobial agents and chemotherapy, vol. 54 pp.3451-3459. Variabilité pharmacocinétique intra-individuelle et traitement antibiotique prolongé, Médecine et maladies infectieuses, vol. 2859 pp.1-4. Evaluation of various gentamicin dosage regimens in geriatric patients: a simulation study, Fundamental & Clinical Pharmacology, vol. pp.1-5. 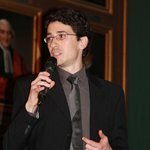 Pharmacocinétique de l’amikacine chez l’adulte : une hétérogénéité qui remet en cause le calcul de la dose basé sur le poids, Thérapie, vol. 64(1) pp.1-5. Visual estimation of patients’ body weight in hospital: the more observers the better?, Pharmacy World & Science, vol. pp.1-4. Modification of Diet in Renal Disease and Modified Cockcroft-Gault Formulas in Predicting Aminoglycoside Elimination, Annals of Pharmacotherapy, vol. 43 pp.1143-1146. Population Modeling and Monte Carlo Simulation Study of the Pharmacokinetics and Antituberculosis Pharmacodynamics of Rifampin in Lungs, Antimicrobial agents and chemotherapy, vol. 53(7) pp.2974-2981. Pharmacocinétique de la teicoplanine chez le sujet âgé : construction d’un modèle pour le suivi thérapeutique, Journal de Pharmacie Clinique, vol. 27 n°3 pp.189-194. The Hill equation: a review of its capabilities in pharmacological modelling, Fundamental & Clinical Pharmacology, vol. 22 pp.633-648.